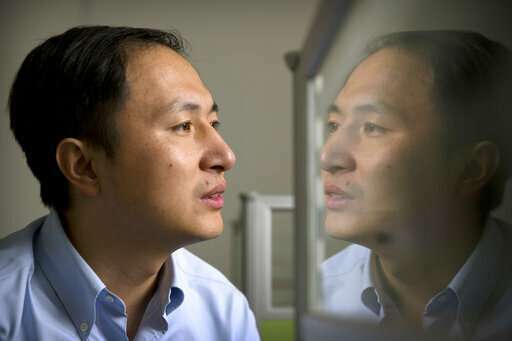 Chinese authorities appear to have confirmed a scientist's unpublished claim that he helped make the world's first gene-edited babies and that a second pregnancy is underway, and say he could face consequences for his work. China's official Xinhua News Agency said Monday that investigators in Guangdong province determined that the scientist, He Jiankui (HUH JEEN-qway), evaded supervision of his work and violated research norms because he wanted to be famous. The report said He acted alone and will be punished for any violations of the law, although it didn't say which regulations he may have broken. The scientist stunned the world in November by claiming that he had altered the DNA of twin girls at conception to try to help them resist infection with the AIDS virus. He's work has been widely criticized as unethical because of questions about whether the participants truly understood the risks. It is also considered medically dangerous because of possible harm to other genes and the DNA changes can be passed to future generations. There has been no independent verification of his claim, first reported by The Associated Press, and it has not yet been published, although He gave details at an international gene editing conference in Hong Kong. Some have even speculated that it could be a hoax. But the Chinese investigation appears to confirm it. The Xinhua report says the twins and those involved in the second pregnancy will remain under medical observation with regular visits supervised by government health departments. "It does sound like they have confirmed the existence of the babies," said Dr. Kiran Musunuru, a genetics journal editor from the University of Pennsylvania who reviewed materials He provided at the AP's request. Given that the Chinese investigation alleged ethical lapses, He's work might not be published by a scientific journal, but "the information needs to be made available so we know exactly what was done," Musunuru said. "It could be as simple as putting it on the web." The scientist, He, could not be reached for comment. A media relations person who had been acting as He's spokesman declined comment. It's unclear how many edited embryos remain from He's experiment and what will become of them. He's school, Southern University of Science and Technology of China in Shenzhen, and the Chinese ministries of health and science also have said they are investigating and have put a halt to his work. Gene editing for reproductive purposes is effectively banned in the U.S. and most of Europe. 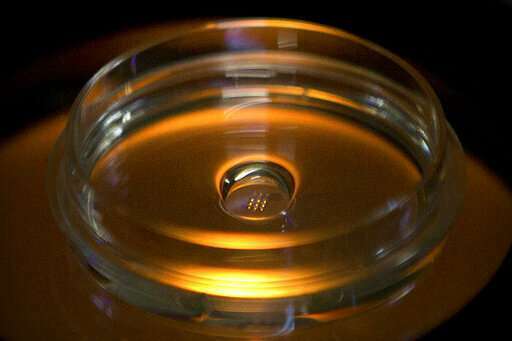 In China, ministerial guidelines prohibit embryo research that "violates ethical or moral principles." "This behavior seriously violates ethics and the integrity of scientific research, is in serious violation of relevant national regulations and creates a pernicious influence at home and abroad," the report of the Guangdong province's investigation said. The statement shows that "scientific leadership is taking this situation seriously," said Alta Charo, a University of Wisconsin bioethicist and one of the leaders of the Hong Kong conference. It's hard to interpret without knowing who was involved in the investigation and what they did, but it "does indicate that there is a system of regulatory controls in China that can be brought to bear on any effort to prematurely use this technology," which may be a better way to regulate it than an outright ban, she said. Stanford bioethicist Dr. William Hurlbut said he has spoken regularly with He since the Hong Kong conference, most recently last week. Hurlbut, who said he disapproves of what He did, met with him often over the last two years to discuss gene editing and when it might be appropriate. A week or so after the news broke of He's work, "he was calm, he was thoughtful," and "was thinking about what he should have done differently," Hurlbut said. Hurlbut said He "told me that he's OK, that he is being treated respectfully. He spent long hours talking with people during the investigation ... They asked him to voluntarily give his material to them and he did." There are plain-clothes guards at the university apartment where He is living, because "He and the authorities believed it was a good idea" to shield him from media and others trying to contact him, not because he's being treated like a prisoner, Hurlbut said. Good to hear he's being dealt with rationally, news articles were saying his life was at risk. History will judge this work. One of the worst social trends in America is good old CYA ("cover your _ss"), the idea that not knowing, not acting, not leading, not communicating mistakes is the right course of action, as it prevents liability. Demonstrably horrible results follow all throughout industry, medicine and politics. It's way better to try, fail and learn than to avoid all of it. He was trying to bring children to a women, and protect them from a horrible disease. If his results are failure, his intents should be taken into account as he is held liable. If his results are a success, every ethics committee sitting on their hands and covering their _sses should be held liable for advocating non action, with their intents considered as well. He used human beings as test subjects without their consent. He had their consent for gene therapy, they are arguing he didn't convey the full risks. So could there be suffering for those individuals while lessons are learned? Maybe, but meanwhile millions are suffering from diseases that could be prevented with similar therapies. You know if the media gets wind of his work going wrong, they'll obsess on it. But millions of people suffering from diseases that could be treated by it? Thousands dead every week? Nothing, just statistics, no one to blame, so no problem. That's CYA culture. This is heinous and should be a capital crime. The doctrine violated is "informed consent." We ether do this research or go extinct as a species. It is our only chance of surviving global climate change, AI, volcanos, meteors, terrorists using biological weapons etc. We need to enhance EVERYONE'S IQ by 10X or 100X, Of course it will start in small steps 1 1/2% or even less but it will keep building and it will be for adults too.. These gene edited babies IQ were raised a very little by the gene changes they received. I know all the crazies with their conspiracy theories, like a bunch of followers who think only they have the right answers will chime in here. :-) But if they have it their way we will ALL die..
@rderkis, what makes you think increasing intelligence will override emotions? increased intelligence will just give more rationalizations for stupid acts. One parent had HIV. They wanted children. Gene therapy made it possible. Any other narrative is based on the desire to justify non-action, in a world writhing in disease and suffering. What if there was a miscarriage? How many of those happen naturally a day? A deformation? How many thousands of those every week? None of these happened, the babies were born healthy. Yet the desire to demonize for *actually doing something* instead of sitting back doing nothing while feeling intellectually superior is overwhelming for the fake scientist crowd. Has anyone followed the recent heatwave in Australia? Bats dying, fishing dying from 130 temps. Every summer a new level of heatwaves. Total non-action in US on climate change. Why? How can anyone be blamed for non action? You can't demonize a non actor, only people like He who try to do something. That's CYA culture. @luke, the problem is that the parents were not fully informed. Da Schneib, if your personal IQ were increased by 10x, you NOW have NO/NONE idea what you would be like or do. Just as a dog would not understand a man building a space ship. One thing I can say is you personally would probably have all the answers on how to reverse the climate in the fastest way possible. With a little work and a easily built (for you) quantum computer you would build a fusion reactor. Gene therapy would be child's play for you. As for your mental state almost all mental problems including personal violence that are not gene related (FIXED) are simply a chemical imbalance., once again easily fixable by you personally. I could be wrong about this but without it we will most assuredly go extinct. I don't see intelligence the way you do, @rderkis. Not for humans, anyway. Emotional judgements generally prevail over intellectual ones, and it doesn't seem to matter how smart the person is. They still go with their feelings. Let me put it this way: a computer doesn't care if you shut it off. In a few years it will be smart enough you can't shut it off. If you think you can your dreaming. If it becomes extremely smarter than us it becomes the dominate species(?) on earth on earth. Please explain your rational realistic plan to stop our extinction by global warming, AI etc. And it better be soon. Many inventions we have today would be laughed at 50+ years ago. Many unpractical ideas now are shunned by the conventional community. Galileo would have agreed today that this Chinese scientist would suffer consequences for mere advancements. Gene editing can be used to prevent undesirable traits like Autism, ADHD, down syndrome and a plethora of other things. Regrettably, many of the conventional community would criticise that we shouldn't remove down syndrome from our gene pool. The world is teeming of illogical people that are afraid of evolution. Unfortunately, many of the conventional community would critize that we shouldn't remove down syndrome from our gene pool. The world is full of illogical people that are afraid of evolution.